James Hughes was named new General Manager at The St. Regis Punta Mita Resort; he will continue the work begun by Carl Emberson, who held the post for many years. Marc Murphy, Managing Director of the Riviera Nayarit Convention and Visitors Bureau (CVB) welcomed James Hughes, new General Manager of The St. Regis Punta Mita Resort, wishing him every success while at the same time expressing his thanks to exiting GM Carl Emberson and wishing him the best of luck in his new endeavors. “After speaking with James Hughes and personally welcoming him, I can assure everyone that we will continue to work along the same lines as we had been with Carl Emberson,” stated Murphy. “Both are excellent professionals and good men, I wish them the best. Fernando González Ortega, President of the Banderas Bay Hotel and Motel Association, echoed this sentiment, noting the 30 years’ experience Hughes brings to the position will be of benefit to the Riviera Nayarit. James Hughes appeared happy and optimistic with the new challenge he will face at the helm of the most exclusive development in Mexico, located in the country’s trendiest destination. 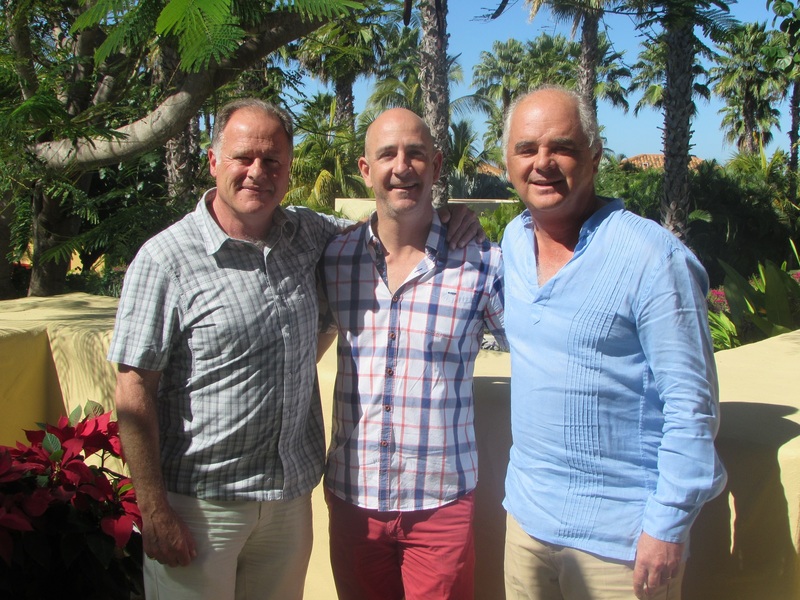 “I’m very excited to be back in Mexico and head the excellent team at The St. Regis Punta Mita Resort, which has distinguished itself for a genuine and impeccable personalized service that has taken the traditional warmth of Mexican hospitality to new levels,” commented Hughes. “My vision is to continue with the St. Regis legacy, ensuring that each visit is exceptional and memorable for our guests; and to innovate so we can offer unique experiences that convey the sophistication and comfortable elegance that highlights the natural beauty of Punta Mita,” added the new General Manager.